http://en.wikipedia.org/wiki/The_Space_Adventure_-_Cobra:_The_Legendary_Bandit I've have not played this one yet! http://en.wikipedia.org/wiki/Rise_of_the_dragon This game is pretty damn good! it has some features that I wish were in Snatcher! rise of the dragon was a pretty short game... i mean snatcher and policenauts are short... but i've completed this game in one evening.... and the story is... absent. nothing really compares to Snatcher or Policenauts...Kojima at his best! I liked the "time of day" type system, and the fact that you could die without some kind of shooting scene in "Rise". I never played "Cobra", but I hear it's good? Last edited by el_ash on Sun Nov 08, 2009 2:34 pm, edited 1 time in total. very well done game, you don't have to be a Blade Runner fan to understand it either, it's it's own entity. I uploaded it to megaupload. If anyone want a copy contact me. Are these screens from the dvd release of the game? They look pretty crisp compared to what I see on my screen when I play. There's no graphical difference between DVD and cd releases. Planescape: Torment is an excellent story based game. One of the best, actually, which I just recently got to play through. 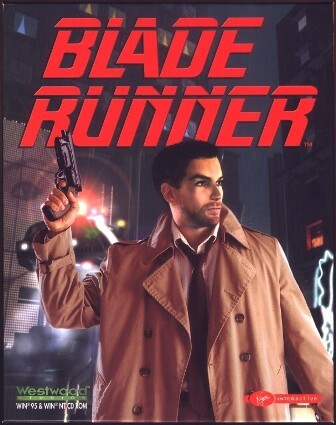 It's not at all similar to Policenauts or Snatcher (those are Kojima games, and his games are very much a unique style, but Blade Runner for PC is about as close as you're going to get, in all honesty) but I thought I'd just throw it out there anyway. It's a text based adventure game set in the Chrono Trigger canon, have yet to try it out for myself, though it sounds good. Whilst you're in the mood though, why not try SD Snatcher (and translation)? Also “Beneath a Steel Sky” is another awesome adventure game set in a post-apocalyptic city. Since 2003 the game has been released as freeware. you can download it off ScummVM or on GOG. I love the anime but the game wasn't too impressive for me. I can't hate it too much though because I'm such a Cobra fan. Yeah, the opening sequences of that game are good (the bar scene and introduction of the antagonist), it's just the rest of the game is really crappy and boring that I couldn't be bothered with it. There's far more of the obsessive compulsive look at simply everything than there is in Snatcher...plus there isn't much to the plotline either. I'd also recommend Suda 51's earlier work; the "Kill The Past" series in particular. A great shame that killer7 and Flower, Sun and Rain are the only two games of the series to be localised (The Silver Case in particular, sounds amazing). There was a Mega CD game called Detonator Orgun, released only in Japan. Based on an anime I haven't seen. Two games I remember playing as a kid and enjoying were Deja Vu and The Uninvited on the NES. They also had IBM and Mac versions released before the NES versions. But those are more point and click, and not menu driven. I wish there were more games there just menu driven. For point-in-click adventures I recommend Quest for Glory series and maybe Space Quest (haven't played the latter). Phoenix Wright on the DS is a good series that's largely menu driven. Is it correct that Rise of the dragon only saw a release in the states and not in Europe? Are there members who played The Space Adventure and if so, what is your opinion about that game? Do you need the anime/manga to enjoy the game, is the story any good? Let me know, because I really want to play some games like Snatcher/Policenauts. Don't necropost. I doubt Rise of the Dragon was ever released in Europe, probably due to so much mature content. Also, Cam Clarke voiced one of the game's characters and he later did Liquid Snake. Makes me wonder if Clarke ever played Snatcher, since both games came out for the Sega CD the same year. My bad, did I have to make a new topic for my question? I doubt Rise of the Dragon was ever released in Europe, probably due to so much mature content. On gamefaqs.com it says that it hasn't been released in the EU, but they say that also for 'The Space Adventure' which has been actually released in the EU. James Flinders/Cam Clarke has a magnificent voice, that's why I want to give Rise of the dragon a try. He voiced the game's main character, 'Blade'. For other members who are interested, I didn't like Jake Hunter for the DS that much. It was rather uninteresting and limited. I'm a great fan of the Phoenix Wright series and spin-offs, I can recommend those games to everyone. I found 'Hotel Dusk' too boring, but I heard that it later picks on. I had high hopes for 'Flower, sun and rain' but maybe it was too 'deep' for me. I didn't like it, the themes that are present in the games were just too abstract if you ask me. I still have to try out the other games posted in this topic. Any more 'similair' games? You might want to look into the Tex Murphy series, like Under a Killing Moon. I find it too cheesy, but perhaps it's fun. There is a remake possibly coming out through Kickstarter funding. Also Deja Vu on the NES and Mac. Another one you can look up is the Portopia Serial Murder Case. Thanks, I already heard a lot about Deja Vu. I'll buy that for my NES soon. You have played it already? What's your opinion about it? Can you give me more info? Is the story full of suspense, interesting enough etc? Is the fact that is's only text based boring afther a while? Thanks, never heard about that one! Will delve deeper into it. Deja Vu is a classic NES adventure game. It was in fact the first of its type I played as a child. I'm not sure how entertaining it is to adults or seasoned adventure players. I think it was fairly run of the mill at the time, but had a good dry sense of humor and decent puzzles. I never beat it. I know you were looking for games, but since they are so few and far between, and the writing of these older classics is surely a lot better, I just thought I'd mention. I personally enjoyed "Where the Sidewalk Ends" http://www.imdb.com/title/tt0043132/ and "Double Indemnity" through Netflix. psy-o-blade for msx 2 is a great advenutre with interface and graphics similar to snatcher (it plays better, actually). but the mega drive version sux, it has only half the game. Stalepie and Cacetete, thanks for your suggestions! I must note that I can't speak/read Japanses, so although Psy-O-Blade looks very interesting, I won't be able to play it unless it's translated. I think I will first go for Deja-Vu and Rise of the dragons, seeing as they are avaiable in English. I've only played a little bit of it, but It's a very good game so far. Last edited by GirianSeed573 on Wed Jan 08, 2014 6:01 pm, edited 1 time in total. I think there's an English patch in the works for Team Innocent. Perhaps you know about it. If you are just into adventure games, or "point and click," there are a number of them, although presumably you want more with a darker vibe, city setting, etc. "Nightshade" on the NES comes to mind, as does Future Wars, Shadowrun (of which there's several), Neuromancer and others. You may try this list, http://en.wikipedia.org/wiki/Category:C ... ideo_games, or this list, http://en.wikipedia.org/wiki/List_of_gr ... ture_games, for help. I think an English patch for the Mega CD version of Illusion City exists. Last edited by stalepie on Tue Apr 10, 2012 1:13 pm, edited 1 time in total.